Get £5 off fuel when paying with the Esso app using PayPal. Pay for fuel from the comfort of your car with the Esso App and PayPal. Terms and Conditions apply. Offer ends 31 December 2017 or when 12,000 credits have been saved to customers' PayPal accounts. Please use the “Find Esso Stations” option at the bottom of the app home screen to find your closest mobile enabled site. You will need to give permission for the app to access your location so it can search for sites near you and provide driving directions. You can also use the ‘Mobile Payment’ filter on our Fuel Finder website to find participating Esso App stations.The app is being rolled out to new sites all the time, so there should be a site close to you very soon. 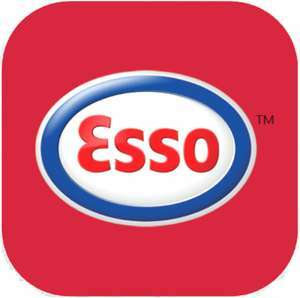 Get 200 bonus Tesco Clubcard points with your first fill of 30 litres or more using the Esso App. You’ll also earn another 200 bonus points after 5 fills of 30 litres or more using the app. No stations what offer mobile pay near me! But alot of esso garages! How can I check online if my nearest station has paypal payment option? 25 mile round trip to nearest mobile pay compliant station! Honestly I didn't get any benefit with this deal either, there is no mobile payment near me, the nearest is 30 miles away. I'm also wondering about this. You need a mobile data for the payment, don't you ? I had lots of hassle last time I used the shell app. I've searched before I posted this, but I couldn't find it. Can still get a vat receipt printed off by using the app ? saved to a few accounts, shell one worked fine but had to sit there for 10 minutes until it detected I was at a shell station..
Theyll be asking us to do a little dance at tills next to get some money off.. Allow us to hire your child for a week as work experience and we'll give you a fiver of your grocery's.... Fluff off. Amex gave a fiver away when shopping at Esso but I found the price of Esso was much dearer than the nearby Morrisons, making the deal worth nearer £2. I used the Shell £5 Paypal offer once as well, but it is a bit of a fag sitting at the pump, selecting the pump, etc. Be better if they did contactless or Apple Pay at the pump. At least you only need one thing then, not an App for Shell, another for Esso, and so on. Makes sense....my nearest station is only about a 2hr drive away. Haha. Tried again & again to link my paypal - keep getting "We're sorry. We weren't able to set up pre-approved payments at this time. Please try again later". Thanks OP, offer saved. There are two within a mile of me. As all money saving experts have at least two Paypal accounts, I'm planning on using this twice. Says on the link ios only. However i can confirm, it is indeed on the play store, downloaded 1000 times with 2 stars. Yep they email one to you. PayPal are entering many new channels of payment, giving competition to Visa & Mastercard. How many times can you use the offer? Does it automatically deduct £5? Says on the link ios only. However i can confirm, it is indeed on the …Says on the link ios only. However i can confirm, it is indeed on the play store, downloaded 1000 times with 2 stars.I stand corrected.App seems buggy mind. Had a bit if schadenfreude reading the guys review where he drove away thinking he'd paid only to find out he'd been reported to the police for failing to pay for a full tank.